Presbycusis – gradual hearing loss in the elderly – is one of the most common chronic health problems we face, but what might surprise some people is that it is associated with a higher risk of death. U.S. statistics indicate that about one-third of adults aged 61 to 70, and more than 80 percent of people older than 85, suffer from some level of hearing loss. 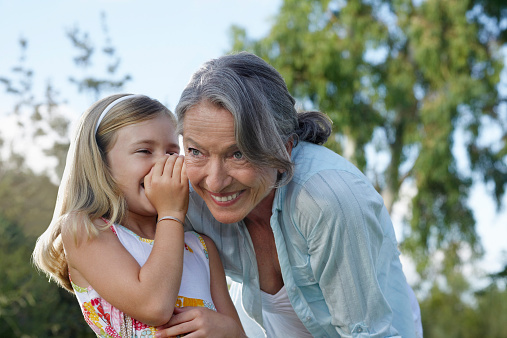 The most common type of hearing loss is aging hearing loss. This is why screening for hearing loss is now recommended for anyone older than 50. Presbycusis is the medical term for hearing loss as people age. Hearing loss in the elderly often comes on gradually, over several years. In the majority of cases, it is high-pitched sounds that are affected the most. An example of this would be finding it difficult to hear birds chirping. It can be mild in the beginning, so the person often isn’t even aware that they have age-related hearing loss. Often it is a friend or family member that notices the TV is turned up too loud or that they have to keep repeating themselves so to be heard. Presbycusis, or age-related hearing loss, can be the result of changes in the inner ear as we get older. It can also happen when there are changes in the middle ear or along the nerve pathways that go from the ear to the brain. Sometimes other medical conditions or even medications can impact hearing. Research in the area of hearing loss among the elderly has recently uncovered some interesting data. One discovery that is sure to be examined further is hearing loss linked to increased risk of death. A study involving about 1,700 people over the age of 70 found hearing loss increased the risk of death by between 21 and 39 percent. While the results do not mean that hearing loss will shorten a person’s life, it suggests it is a variable that contributes to mortality. Previous studies suggested that hearing loss is associated with memory and physical impairment. One research project at Johns Hopkins in 2013 specifically looked at hearing loss and cognitive decline in older adults. The authors concluded that older adults with hearing loss are more likely to develop both thinking and memory problems. Experts point out that part of the issue is that we know physical and memory decline can lead to a shorter life span. While the research team insists they aren’t saying hearing impairment automatically shortens a person’s life, hearing loss does have important effects on a person’s life. 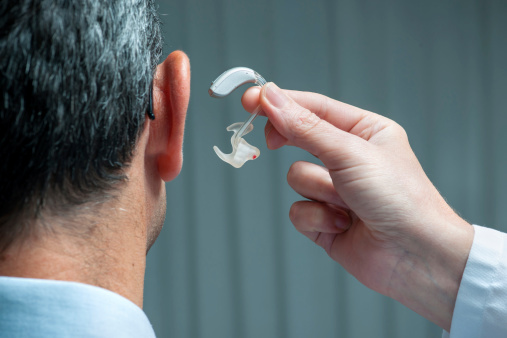 The notion that hearing loss increases the risk of death has some scientists now eager to conduct follow up studies with the use of hearing aids to see if they could possibly extend a person’s life. There are different degrees of hearing loss in the elderly, ranging from slight to mild to moderate and then to severe and profound. One hearing loss classification system is in decibels (dB HL). Normal hearing range is -10 to 15, while a slight hearing loss is 16 -25 (dB HL). Moderate hearing loss is 41 -55 and severe is in the range of 71 -90 (dB HL). 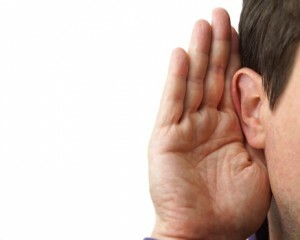 With severe hearing loss you will need a hearing aid or you’ll have to read lips in order to understand conversations. Just as there are different degrees of hearing loss, there are different types of hearing loss. Sensorineural hearing loss happens gradually in both ears. It is often caused by a problem in the inner ear that processes sound. This part of the ear is called the cochlea. When hair cells in the cochlea are damaged, fewer sound signals reach the brain so noise becomes faint. Conductive hearing loss is when changes occur in the middle or outer ear. Together the middle and outer ear convert external sound waves and send vibrations to the inner ear, where they are translated into electrical signals and interpreted by the brain. Injury to this system leads to poor hearing. Mixed hearing loss is a combination of sensorineural and conductive hearing loss. This means that there is a problem in the outer or middle ear and in the inner ear. This can happen because it runs in the family or it can happen as a result of a head injury or infection. 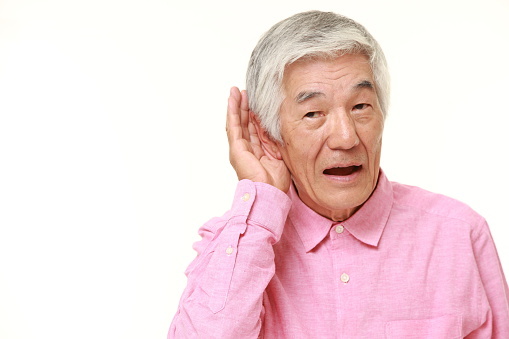 Medical researchers don’t fully understand the cause of hearing loss in older adults. They suspect it could be a lifetime of exposure to noise that slowly impacts the delicate make-up of the ears. As well, they wonder if genes play a part. Right now, the popular thought is that a number of factors contribute to age-related hearing loss, including arteriosclerosis, which is the hardening and narrowing of blood vessels that supply the cochlea. Exposure to noise over several years, exposure to chemicals produced by body cells over many years, and taking certain medications for long periods of time may also be contributing factors. Studies continue into the possibility of hereditary reasons for presbyacusis. We can’t turn back time and change the age-related process that leads to hearing loss, but there are some steps we can take to prevent a certain degree of hearing impairment. For instance, we can avoid excessive noise during leisure time, we can wear special ear protection if we work in a noisy factory, and we can live a healthy lifestyle, including exercising, eating fresh foods and not smoking. Hearing aids can be very helpful for those who are experiencing hearing loss and the frustration that comes with it. Hearing aid development has come a long way over the years and the devices are now available in various sizes and colors. In many cases, you can’t tell a person is even wearing a hearing aid. 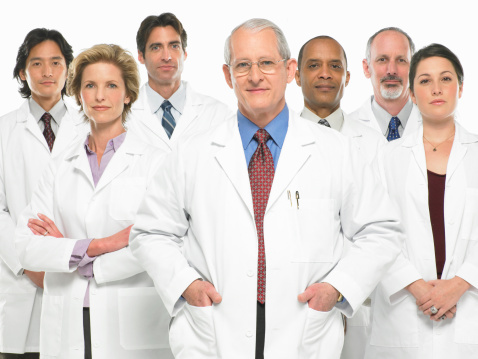 If you find you are struggling to hear, don’t hesitate to approach a health care professional. He/she will administer some simple hearing tests and you will find out to what degree your hearing might be impaired so you can then deal with it head on.